The Captain of United Earth's first starship, the NX-01 Enterprise, Jonathan Archer was considered by many as, "greatest explorer of the 22nd century." Commemorate Archer with this pin! From Fansets comes a set of highly collectable pins that includes all your favorite characters from the Star Trek universe. Collect Archer and all your other favorite characters in pin form (sold separately)! The pin makes the perfect addition for anyone's collection or outfit. 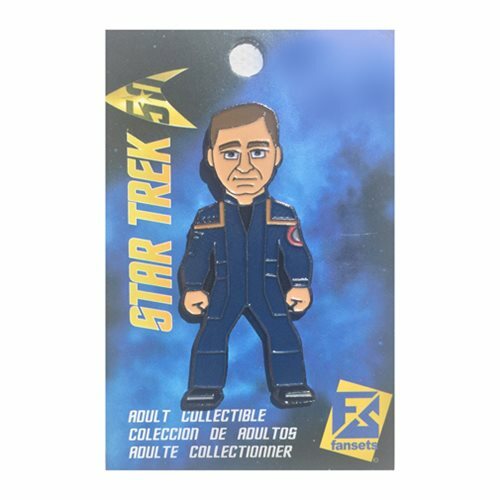 The Star Trek Jonathan Archer Pin measures approximately 2-inches tall.